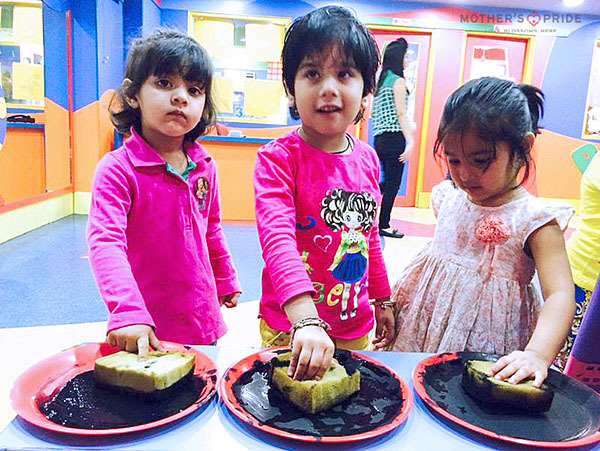 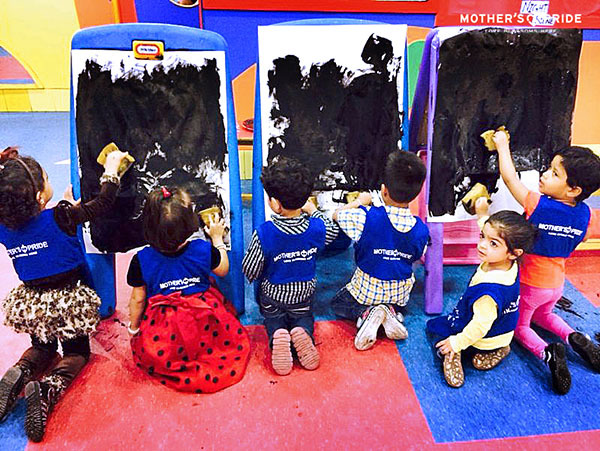 An activity of “Making the night sky using sponge painting” was organized in Mother’s Pride school for the reinforcement of black color in children. 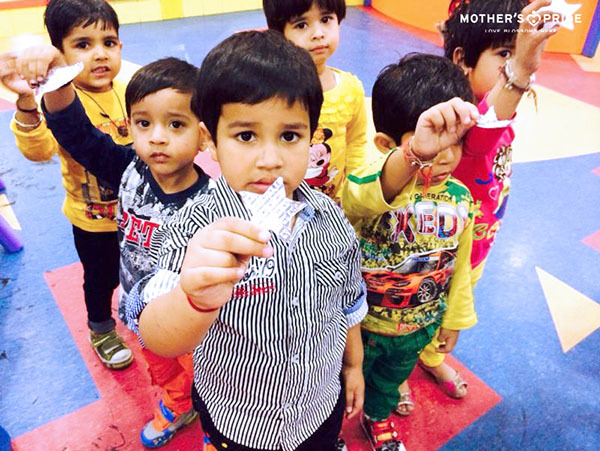 Children were asked to observe the color of the sky at night which was given to them as a home task. 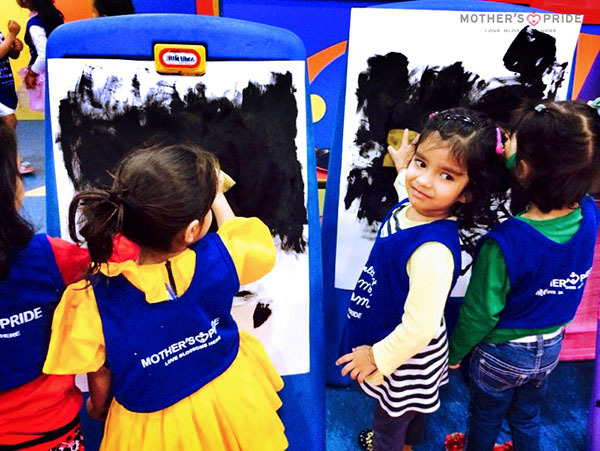 The next morning, questions like ‘What did you see last night?’, ‘What was the color of the sky?’ were asked to encourage a free conversation and record children’s observations. 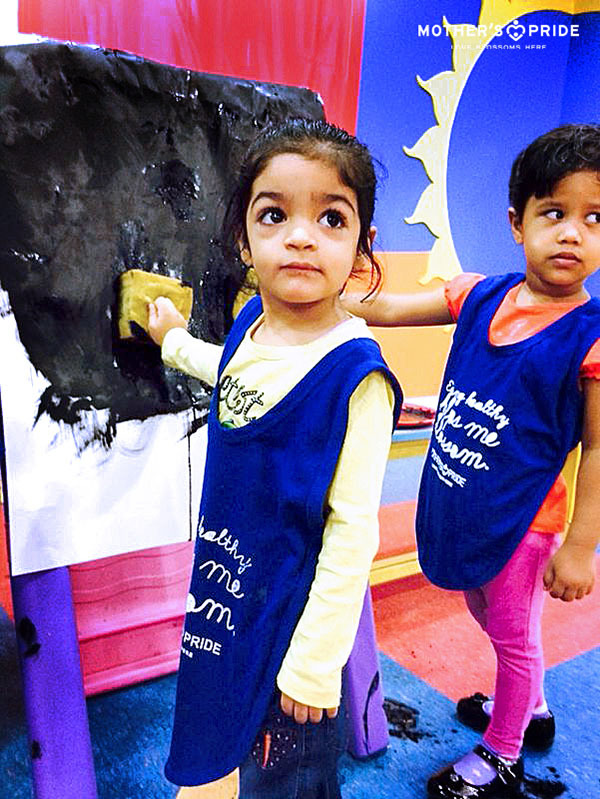 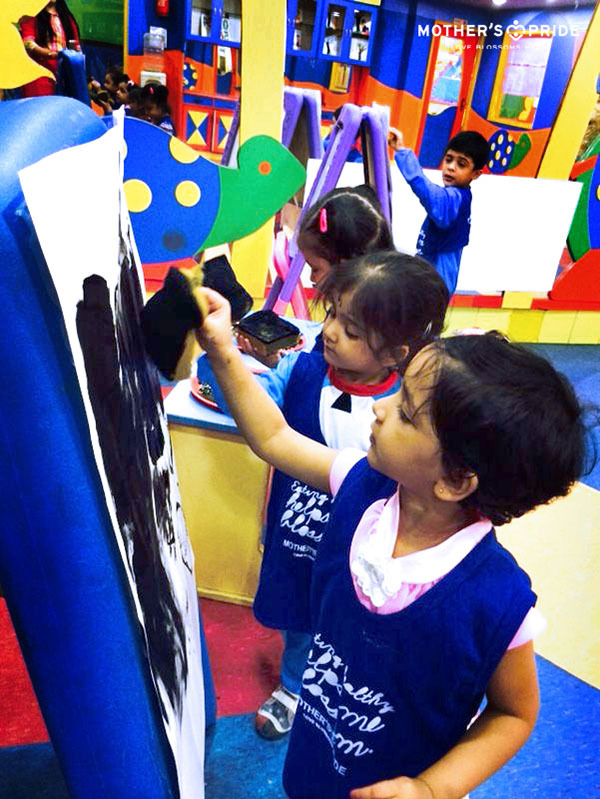 The children were then engaged in sponge painting where they created a night sky using sponge and black color. 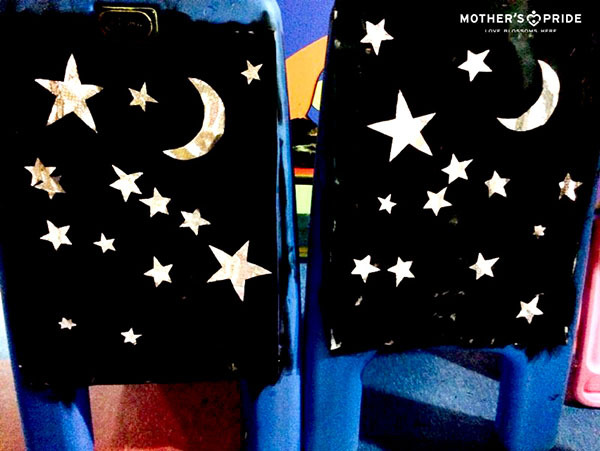 After drying, they pasted stars and moon. 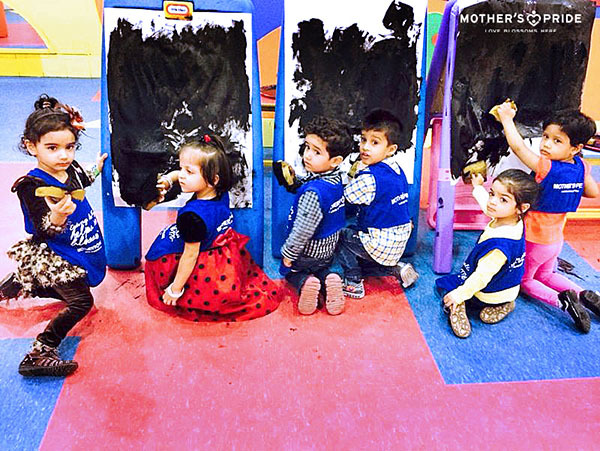 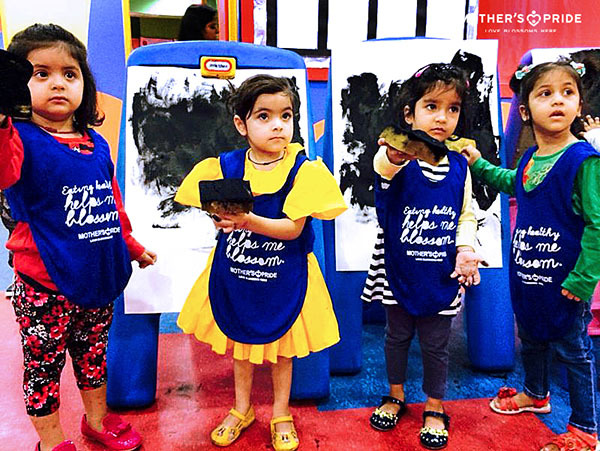 This helped in reinforcement and recognition of black color and enhanced their social, physical and language skills.